The Brattleboro Words Project’s monthly Roundtable Discussion will examine the history of the famous Estey Organ Company and how it helped shape American consumer culture and put Brattleboro on the global map through its innovative advertising and marketing style. Dennis Waring, Author “Manufacturing the Muse: Estey Organs and Consumer Culture in Victorian America” (Wesleyan University Press, 2002) will lead the Thursday, June 14, 6:00 pm discussion at the venerable Estey Organ Museum, 108 Birge Street, Brattleboro, VT 05301. Refreshments will be served. 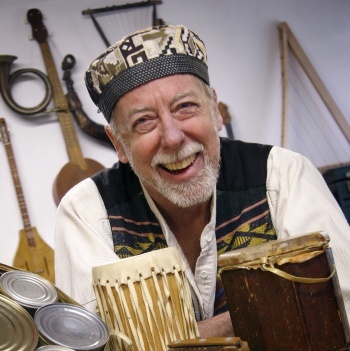 All Brattleboro Words Project events are free and open to the public. Although there were many manufacturers of reed organs, Estey’s dominance in the market was due largely to the company’s innovations in both design and marketing. Estey organs accompanied Christian missionaries throughout world and spread the Brattleboro name far and wide. “Though it is obvious that Jacob Estey’s use of period imagery was the most influential element in his advertising, his exploitation of standard marketing phraseology — the largest, most perfect, new, improved, worldwide — made a deep impression on developing consumer mentality and advertising itself,” Waring said. 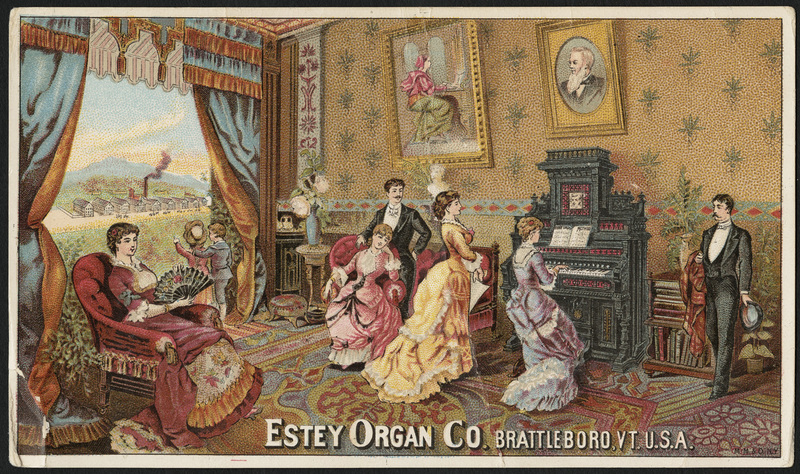 The Estey Organ Company employed a large workforce, many of whom were highly specialized craftsmen. For many years Estey was the largest employer in the State of Vermont. Estey employed master woodcarvers, designers, engineers and inventors, many of whom who came from Europe to work for Estey. Jacob Estey’s progressive views towards his workforce extended to women employees. Estey believed that women had the right to do any work for which they were capable, and that their compensation should be equal to their male counterparts. A permanent exhibit in the Estey Organ Museum documents the Women of Estey. Estey family graves are located in Prospect Hill Cemetery. The Roundtable Discussion Series is presented by The Brattleboro Words Project, a multi-year collaboration between the Brattleboro Historical Society, the Brattleboro Literary Festival, Write Action, Brooks Memorial Library and Marlboro College and backed by a National Endowment for the Humanities matching grant. The Project is creating a ‘Brattleboro Words Trail’, podcasts linked with sites of interest in the history of words for walking, biking and driving tours of our area.